Born and raised in San Francisco and a graduate of UC Berkeley School of Journalism, Dianne Fukami spent the first part of her professional career working in the newsroom of the CBS TV station in San Francisco. After her 15-year tenure there, she was part of a production team that produced a nationally recognized documentary on the Chinese Exclusion Act, Separate Lives, Broken Dreams. It was followed by a series of documentaries on the Japanese American experience that was broadcast on PBS stations across the country in which Fukami directed, produced, and wrote: Chrysanthemums and Salt: The Story of Japanese Americans in San Mateo; Tanforan: From Race Track to Assembly Center; and Starting Over: Japanese Americans After the War. In 2007, along with partner Gayle K. Yamada, they produced and directed a documentary on the history of taiko in the U.S. titled The Spirit of Taiko. Fukami is co-founder of Bridge Media, Inc., a TV and video production and consulting company, is on the faculty of the Multimedia Communications Department at Academy of Art University and is currently in pre-production on a documentary about former Secretary of Transportation Norman Mineta. Eli Olson is an Emmy Award winning film editor with a unique storytelling ability. 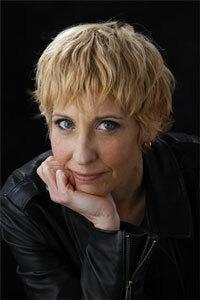 Her extensive experience reaches into the feature film, documentary, non-fiction broadcast, and commercial realms. Eli won an Emmy for her editing work on My Flesh and Blood for HBO Films, which also won an Emmy for Best Documentary, and the Audience Award and Best Director Prizes at Sundance Film Festival. She also edited the feature films And Then Came Lola, a comedy, and Mrs. Menendez, a feature-length documentary for A&E Films. Her non-fiction television credits include Sam Cooke: Crossing Over for PBS’ American Masters, Where’s Amelia Earhart and The Boston Strangler for National Geographic, True Life for MTV, Sports Wives for A&E and Rocket Dogs for Animal Planet. A native of Berkeley, CA, this is her first co-directorial role. She is a partner and co-owner of B.E. Creative, based in Oakland, CA. 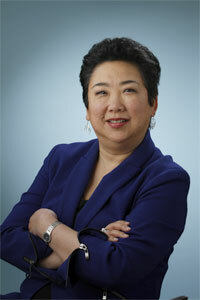 Debra Nakatomi is president of Nakatomi & Associates, a Santa Monica based communications firm she founded 25 years ago. The firm’s award winning media and awareness campaigns, which utilize traditional and new tools of messaging, media, advocacy, and civic engagement, have focused on violence prevention, equity and education, environmental justice, and promoting health. The firm has also designed screening events and director’s dialogues for the Peabody Award winning film, The First Year, about the frustrations and rewards of first-year public school teachers, by director Davis Guggenheim. Similar events have included symposia with the Academy of Television Arts and Sciences, HBO, and NBC Television. Debra serves with national and global organizations committed to building philanthropy and strengthening advocacy on social issues. 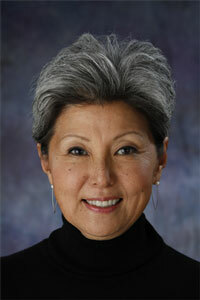 She is board member and former International Commissioner of Girl Scouts of the USA, serves on the board of Little Tokyo Service Center Community Development Corporation, is former board chair of the Center for Asian and Pacific American Women and Los Angeles Women’s Foundation, and is a member of the US-Japan Council. Debra has presented on global leadership, philanthropy, inclusion and communications as a tool for social change in London, Johannesburg, Germany, Singapore, Tokyo, Peru and Scotland. Previously, she held positions at KCBS Television, Inc. and the Walt Disney Company. Debra met co-producer Dianne Fukami in 2009 during a trip to Japan as members of the U.S. Japan Council’s Japanese American Leadership Delegation. When the March 2011 disaster struck Japan, they collaborated to produce Stories From Tohoku to tell the story of Japan survivors and Japanese Americans. They are co-producing a second documentary on the life and career of former Transportation Secretary and Member of Congress, Norman Y. Mineta.